In March 2018, I excitedly walked into Icycle Sports to pay a deposit for a brand new, navy blue 2018 Cervélo R3, size 61 cm. This day came after nine long months of hours spent working on freelance projects and commuting on my fat bike throughout the winter to save money. I had finally scraped together enough cash to buy a really nice, well-fitting road bike. 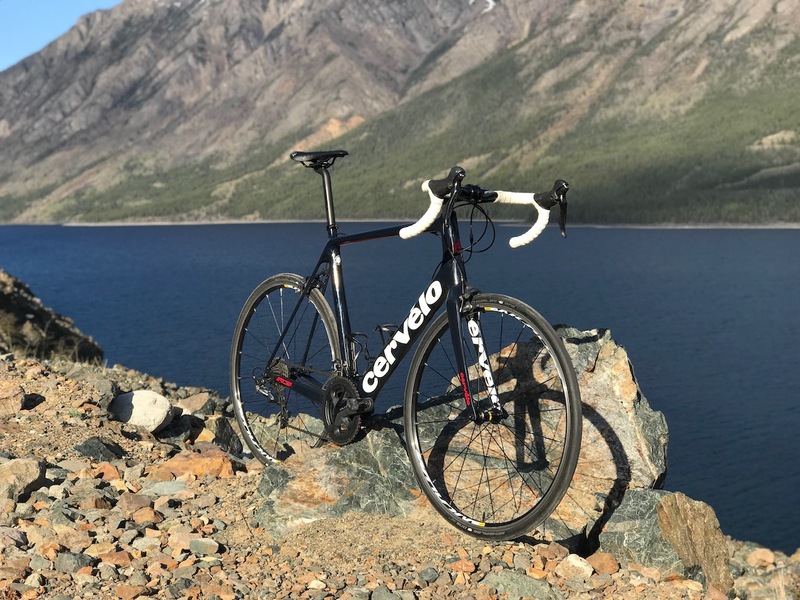 The prior fall, Fabien and Jonah at Icycle Sports had lent me their personal 58 cm Cervélo road bikes so that I could try out different models. Fabien set me up with his 2016 Cervélo R3. Compared to the road bike I'd been riding for the past few years, a Kona Zing Supreme the R3 was light, stiff and climbed amazingly well. Jonah then let me borrow his 2015 Cervélo S5 Dura Ace Di2. These rides opened my eyes to what a truly high-performance road bike felt like: smooth, efficient and otherworldly fast. These tests also taught me two more things. First, a 58 cm Cervélo was absolutely too small and I needed a 61 cm frame for my 6'3” self. Second, a properly fitted bike makes a world of difference when it comes to comfort and enjoyment, especially after hours in the saddle. In all my years of riding and racing road bikes, I'd clearly never had a bicycle that actually fit me properly. Here's a photo of me racing on a Giant TCR 1, size Large. The year was 1998. I dwarfed that bike. My R3 arrived at Icycle Sports a few weeks later. Unfortunately, March in Whitehorse still means ice and snow on the roads, so the bike lived in its box until early April. Of course, I did manage to pop into the store and sneak a few peeks! 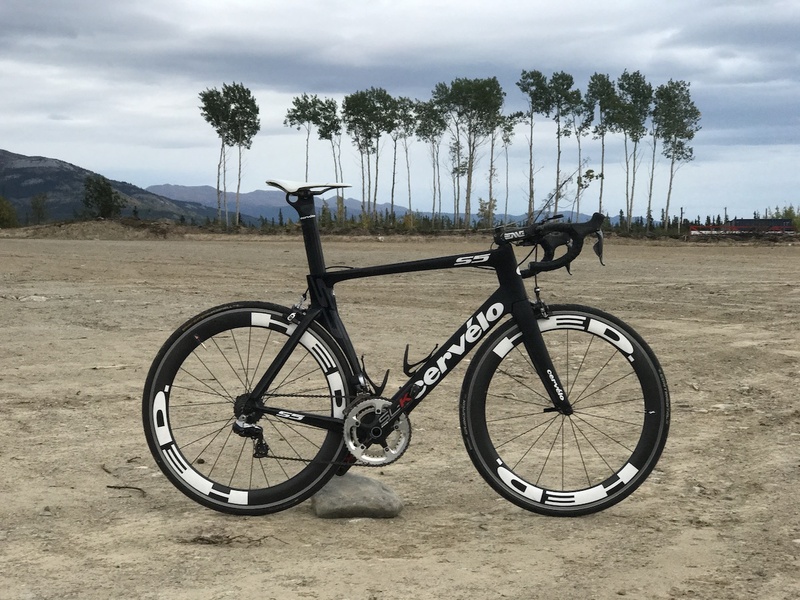 This edition of the Cervélo R3 was re-designed and launched in 2017. One of the many new features was increased tire clearance, so I asked Icycle Sports to install a pair of wider 28 mm Schwalbe One tires to replace the narrower stock 25 mm Mavic Yksion rubber. The rest of my bike, except for the white bar tape remains stock. As soon as the roads were mostly clear, I enthusiastically picked up my R3 from the shop and brought it home, then geared up for a quick tour. The first ride was shocking. My bike felt...so big. Too big? Uh oh, had I made a mistake? No, as it turns out, I had not. With the aide of Fabien, I'd made the correct choice. After more than 25 years atop road bikes that were obviously too small for me, riding a bike that fit properly, felt strange. It took me a few rides to get used to it, but I came to realize I'd made the right decision to buy a 61 cm. Right around this time, I injured myself snowboarding. I've been pretty fortunate to have just a few minor injuries after 30+ years in the sport so this minor incident – smacking a tree with my hand after failing to slalom through the exit of a tight glade run – while setting me back and bumming me out, wasn't season-ending. Sadly though, the injury meant I lost over a month of training for my planned June attendance at the Canadian Masters Road Cycling Championships in Victoria, BC. I had been training all winter, skiing and biking as much as I could to have a solid base from which to work. Now I wouldn't have enough time to get the distance, intervals and sprints that would be needed in order to enjoyably participate in the events. I had to back out from our plans. No matter, as the weeks went by I still got out for regular group rides with a wide variety of great people. There were early morning casual Saturday rides and mid-week torture fests. Couple this with long training rides and it started shaping up to be a great season aboard my new R3. 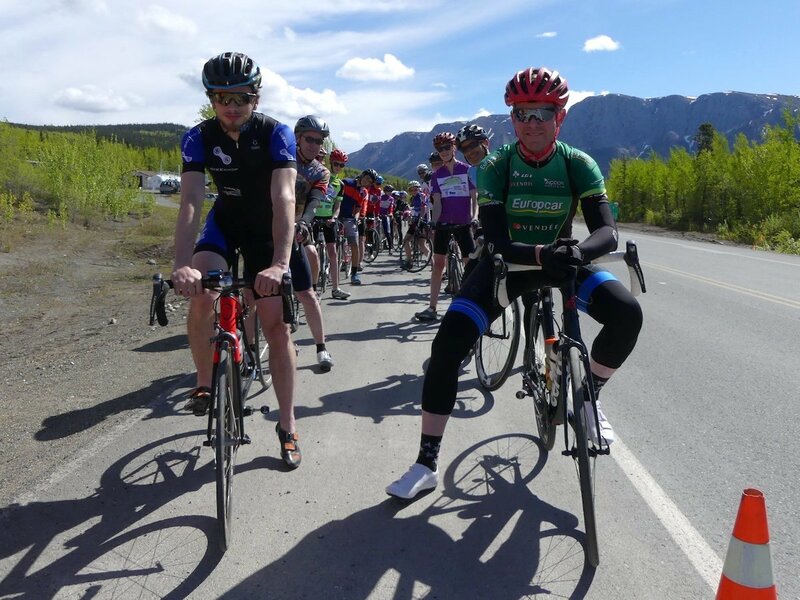 The local race scene isn't huge here in the Yukon, but I'm very thankful that we have a few clubs that organize events for cyclists of all abilities and skills. It's pretty awesome to pull up to the start line and be surrounded by racers not only my age but also older and younger, male and female. Everyone from eight-year-old kids to 60+ year old's participate. My first event of the season was the Carcross Corner Time Trial on May 16. This was a 17 km that I finished in around 28 minutes. Not as fast as I used to post, but I'll take it. Next up was the Tour de Skagway in Skagway, Alaska. I only participated in the May 20th road race event, but it was worth the drive to join everyone there. We had a beautiful, warm sunny day (for May in Alaska, that is) and I had fun sprinting it out to the finish with another racer. The following weekend was the Tour de Whitehorse. 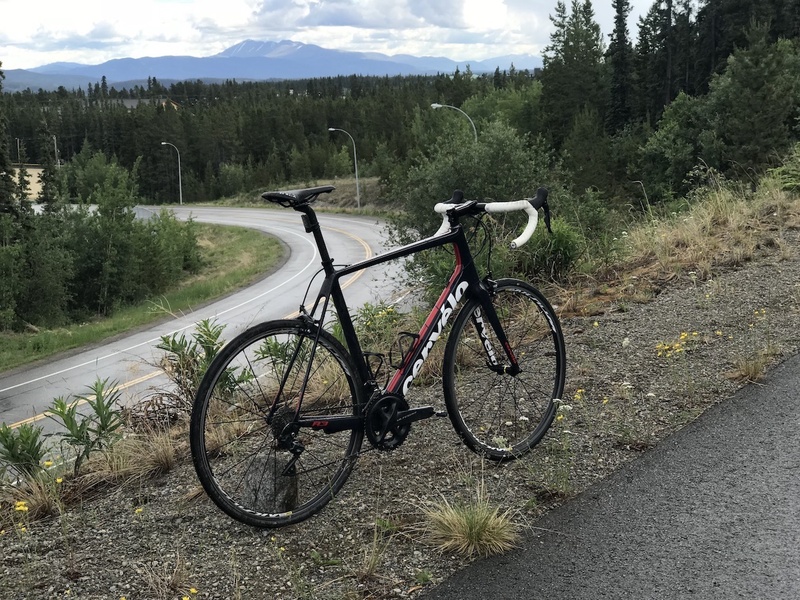 Although the Tour de Whitehorse features a criterium, time trial and road race, I was only able to make it to the road race on June 3. Again, we had gorgeous weather and a great turnout of participants. 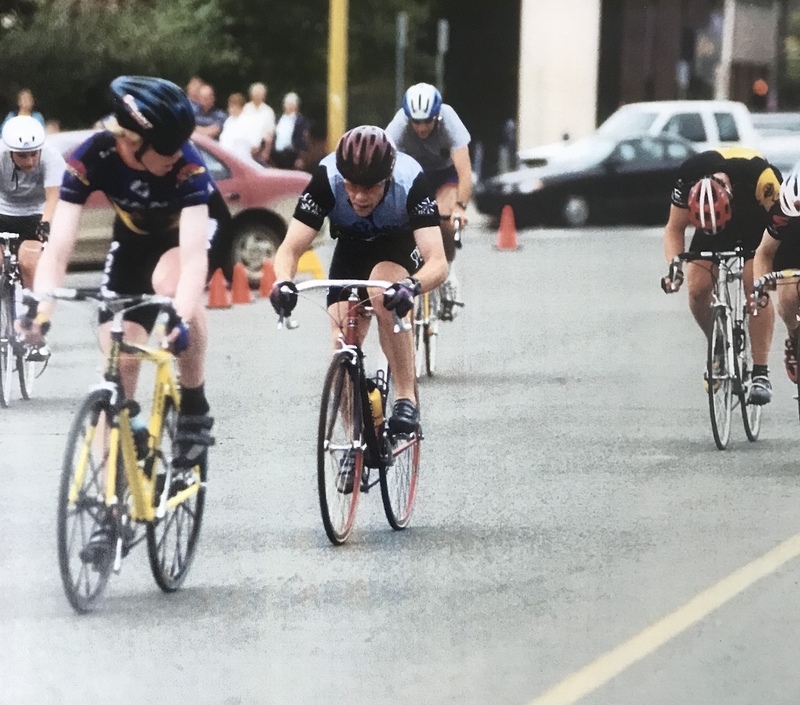 In fact, there were quite a few older guys like me who toed the start line, some of whom I hadn't seen for years so that made this particular event especially memorable. In July, my wife and I took our kids to see my parents in Toronto, Ontario. 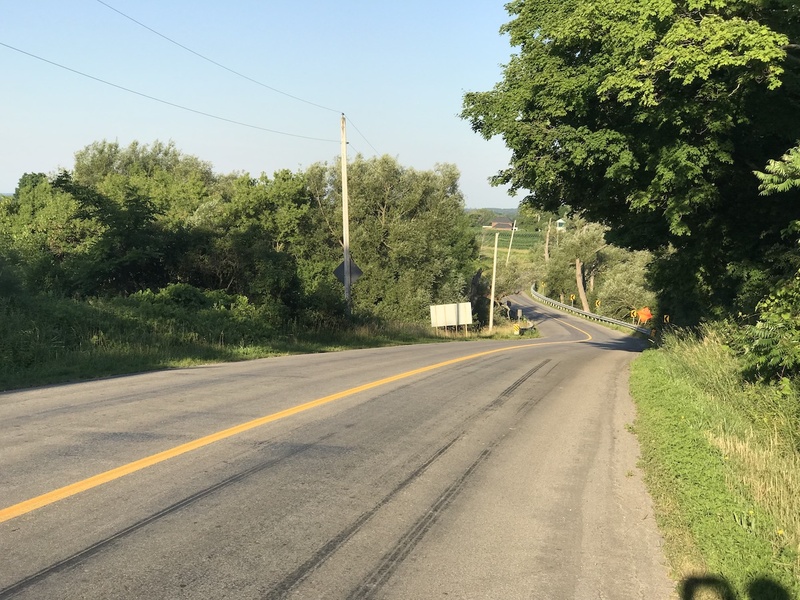 I brought the Cervélo with me because I knew from growing up there that Southern Ontario road riding would be spectacular. I won't go into the details of all the drama getting the bike to and from my parents' home, but let's just say it was a lot of extra work and stress. Lesson learned: Next time I'm renting or buying a proper travel bag for my bike. The standard cardboard box doesn't cut it for extended journeys across the country aboard both planes and trains. This stress all faded away on my first early morning road ride and the others that followed. The roads around my parents' region are buttery smooth, winding and peaceful. One morning, I met some guys out on their bikes and joined them on the ride. Winter is fast approaching here in the Yukon, with morning temperatures often below zero. At this point, I've hung up the R3 in the garage where I look at it every day as I grab my commuter bike to head to work. The bike makes me smile every time I walk by. I'm already thinking about next season aboard my Cervélo R3. June's Canadian Masters Road Cycling Championships are once again in Victoria, BC so I may try to make that happen. There's also talk amongst my local riding group of heading down for July's Axel Merckx Okanagan Granfondo in Penticton, BC. There's plenty of great road events all over Western Canada to consider. I'm really happy with my Cervélo R3. It fits me, it's stiff yet comfortable and light but strong. 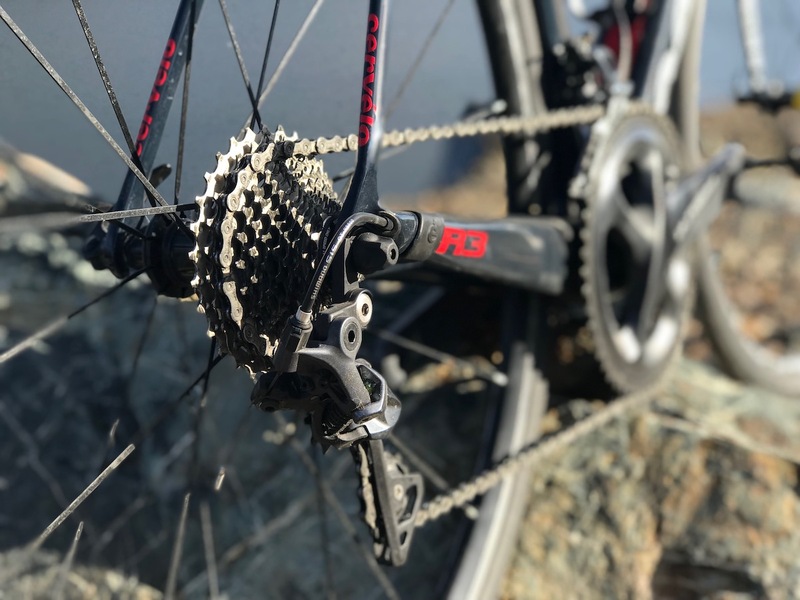 The R3 is simply a beautiful all-around road bike. I have some amazing memories from this spring, summer and fall. The long evening rides, the races where I talked tactics with teenagers and the early morning Saturday group sessions. 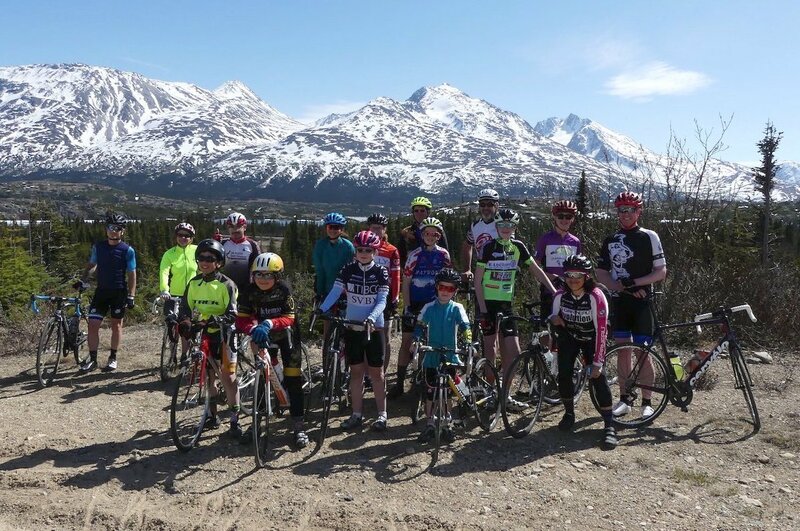 All combined, it was a spectacular season of Yukon road cycling.